Clicken Sie hier für Informationen auf Deutsch. Do you dread having to speak English with customers or colleagues? Do you have sleepless nights if you know you’ll have to attend a meeting in English? Does preparing presentations in English take longer than it should because you don’t feel confident about putting them together, delivering presentations in English or taking questions? Are you worried about your grammar, vocabulary or pronunciation? The above problems could be making your working life difficult or holding you back from progressing with your career. This practical online course offers you achievable solutions. Want to increase your vocabulary and feel empowered to use your new English language skills. What will be covered in the course? Is general conversation something that worries you because it’s so unpredictable? You will practise introducing yourself and finding out about others. In this module, there are tips and practical exercises to help you to feel more relaxed about communicating on the telephone. Do you worry that your emails aren’t making the right impression? 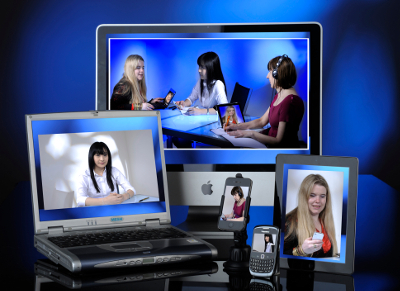 This module will show you how to communicate clearly and effectively. Good planning and organising is key to effective meetings and progress with your work. This module will give you the skills to make arrangements efficiently and without wasting time. Requesting things of others and responding to requests are things that we often have to do. Here you will learn to do both with politeness and clarity. This module is about how to get your ideas across in the right way and how to make a full and active contribution to meetings. Now you won’t need to dread the next networking event or find excuses not to go to that business dinner where everybody will be speaking English! Difficult conversations are hard enough in your native language. In this module you will learn strategies for doing this, sensitively but confidently. This module will give you the skills that you need to use your existing knowledge and create an engaging presentation for an English-speaking audience. This is your chance to deliver your presentation in a friendly and relaxed atmosphere so that you can gain confidence and show what you can really do – in English. This is another practical session about reaching desired outcomes when you’re negotiating in English or promoting an idea. The final session is about how to respond well to complaints in English and how to complain courteously and assertively. A more in-depth document showing exactly what is covered in each module is available on request. Please use the contact form at the bottom of this page. The course materials are in English and the course will be delivered in English. However I do also speak German and I can give grammar explanations or help with vocabulary questions in German too. 12 comprehensive feedback emails after the week’s task has been completed. Access to a secret Facebook group for asking questions of the course tutor and sharing ideas with other premium course learners. Rate 1 = between 9:00 and 17:00 BST. Rate 2 = between 6:30 and 9:00 and between 17:00 and 21:00 BST. Paypal will calculate the conversion into British pounds for you using the current exchange rate and let you know how much that would be in your local currency. If you would like to find out more about the course, contact me and we will arrange a meeting free of charge so that you can find out more and I can answer your questions. 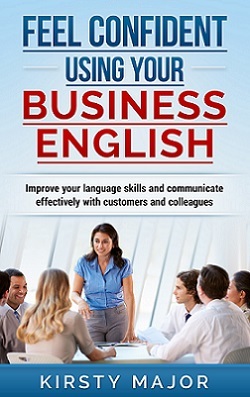 You may also be interested in my book, “Feel confident using your business English”, or the webinar that I presented on “feel confident about contributing to meetings in English.